GRV or Greyhound Racing Victoria is the regulator of Greyhound Racing in the state. Controlling and regulating 13 tracks, there’s 100’s of races and thousands of dollars of prize money available every week. The Betfair Hub, in support of GRV, has provided plenty of different resources around Greyhound Racing in Victoria, from reccomended websites, data, how to predict speed in the race and stories from pro Greyhound Punters. The frequency and consistency of greyhound racing puts it second to only thoroughbreds in terms of betting volumes. Therefore it’s arguably one of the most opportune betting markets available on the Betfair Exchange. The Betfair Hub strives to provides the most resources related to GRV. So what do we provide? On the link above, you’ll find the Directory Listing of Betfair Price Files. You’ll find historical BSP prices of all Greyhound Races, including traded volume along with min and max price. If you’re looking for the results to any Greyhound Racing result in Australia, our results page is your resource to use. Use it to compare the Betfair Starting Price to the Best Tote. Our Data Scientists have built a Greyhound Racing Model using a deep data set from Greyhound Racing Victoria and Racing Queensland to produce Greyhound Tips. You will find rated prices for every greyhound race in Victoria and Queensland, which are influenced by sectional time data, box number, market prices and many other variables. 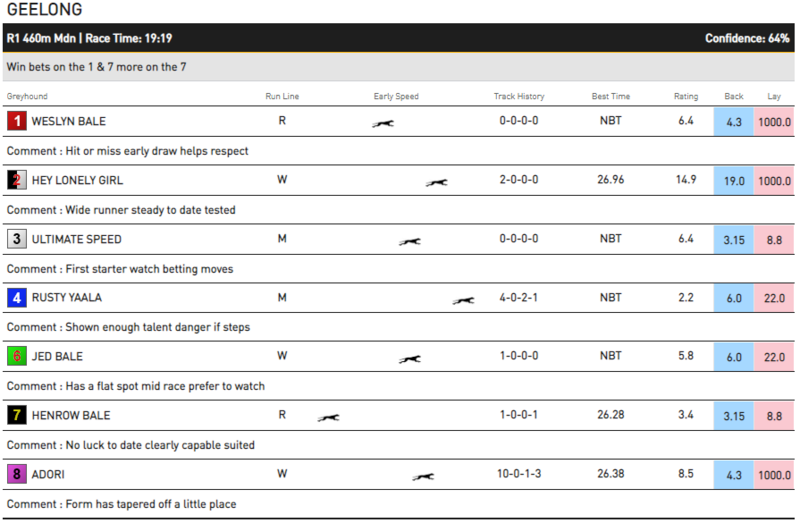 SUREpick, a renowned greyhound tipster, provides exclusive content for the Betfair Hub. From Wednesday to Saturday you’ll see full card ratings and betting suggestions across Victorian and Greyhound Racing.